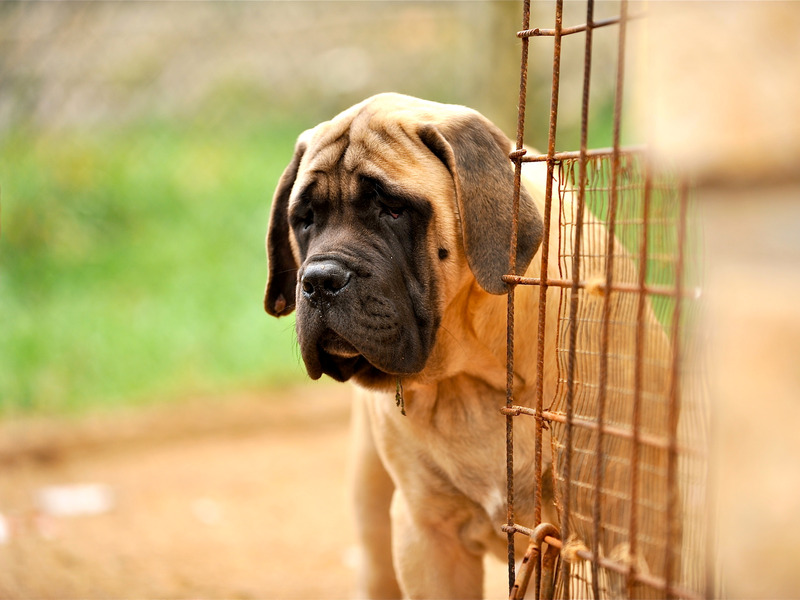 Claudio Gennari / FlickrMany airlines don’t transport English mastiffs because of their size. A US Coast Guardsman may have to pay $US31,000 to fly her dog to the US from Japan, according to Stars and Stripes. A US Coast Guardsman named Jennifer McKay paid $US3,200 to fly her dog to Japan from the US in 2016. Now, McKay could have to pay $US31,000 to fly the 221-pound English mastiff home, according to Stars and Stripes. That leaves few options for McKay, who would have to transport the dog in a 100-pound carrier. The dog and its carrier are too heavy for most airlines and the Air Force’s Air Mobility Command, which doesn’t transport pets and carriers with a combined weight of more than 150 pounds, Stars and Stripes reported. They also aren’t eligible for transportation through UPS or FedEx. According to Stars and Stripes, McKay’s best option at this point is to send her dog home on a direct flight on Japan’s All Nippon Airways, which would charge $US31,000.